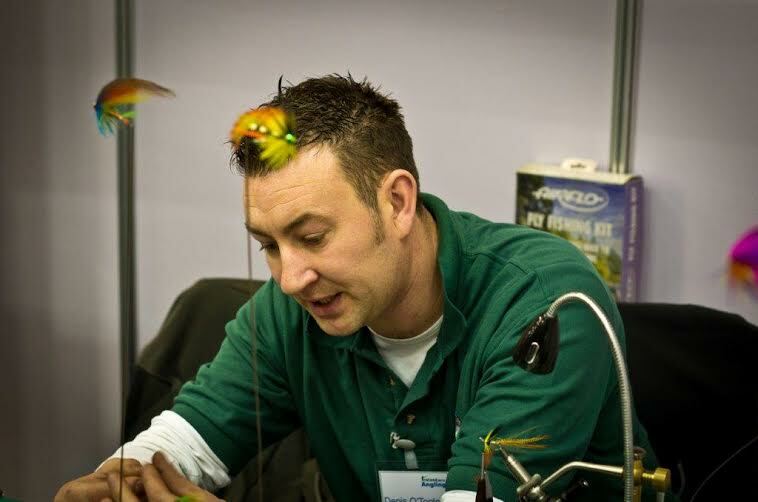 Had a great first day at the Angling Ireland Expo in Swords today. I was on the Ballyduff Bridge Salmon Fishery stand with MacKenzie Pro Maurice Cahill. 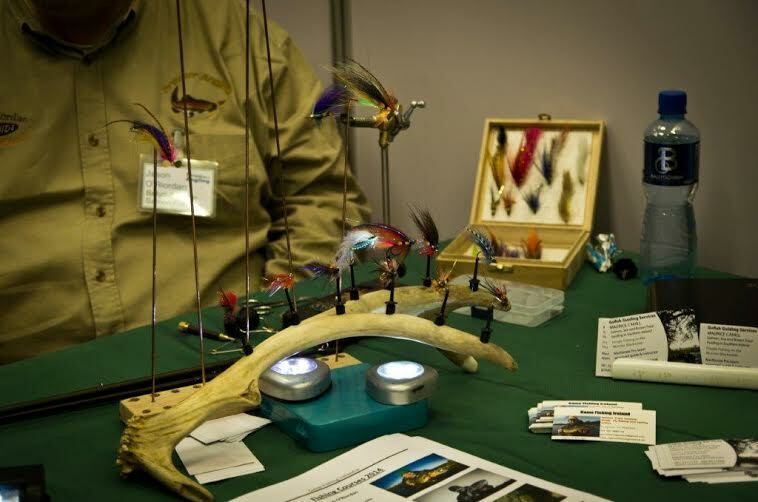 I didn’t get to meet everyone I wanted to at the show today as I was pretty busy tying salmon flies on the stand. It was great to meet so many friendly faces at the stand and to see the interest in the fishery and the courses we are offering this year. 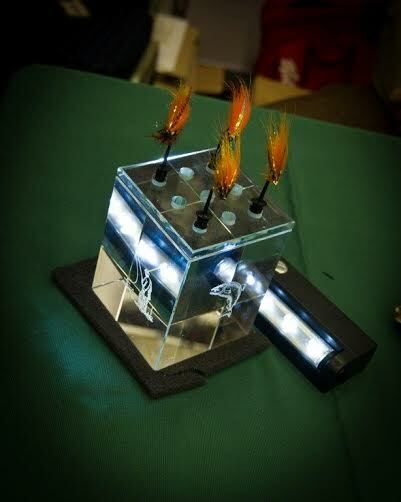 A massive thanks to everyone who visited us and for the nice comments on the fly display. 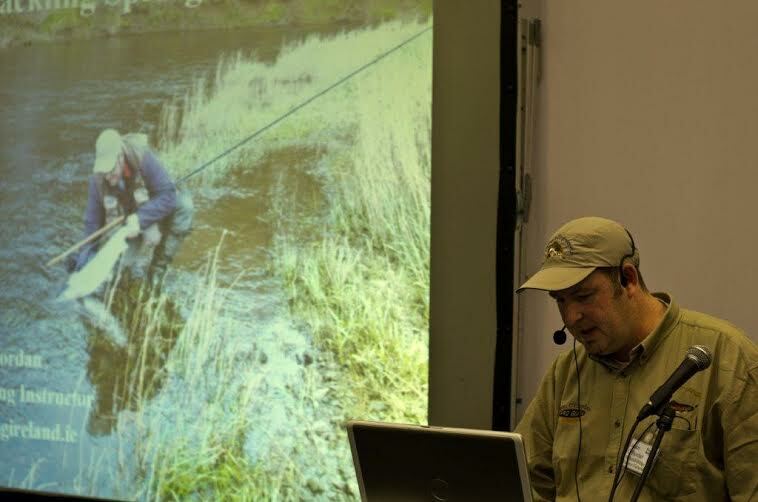 In addition to the fly tying I also did a talk on Spring Salmon Fishing which was well attended so thanks to all who came along for that. I did get the chance to talk to a few exhibitors and meet up with some good friends and some new faces. There are some super Trade Stands at the show and lots of great bargains were on offer. 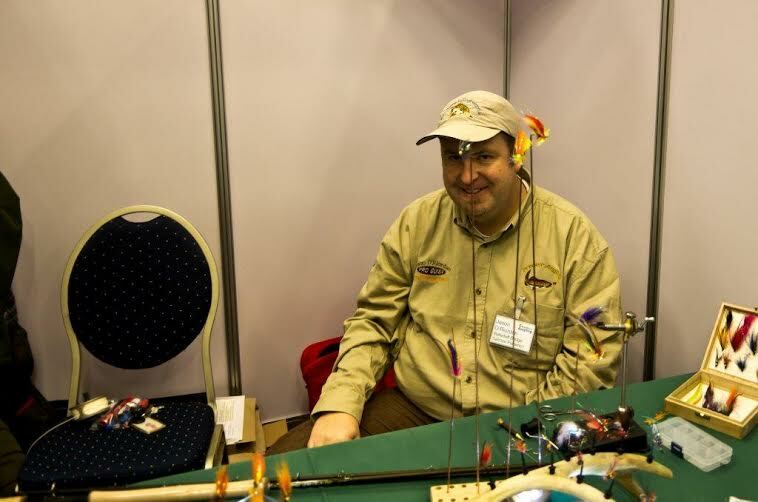 My very good pal Denis O Toole was busy tying his fantastic patterns on the Drowes Fishery Stand. I am really looking forward to day 2 tomorrow and have to say Grace and all the Mara Media team have done a tremendous job so far.